Many thanks to everyone who was able to join us for the first of the 2018 walks at Glendalough in County Wicklow, Ireland. We had a fantastic day with 17 people walking 22km from start to finish, including a climb of 600m. Particular thanks go to Colm and Juanita Grogan for expertly guiding us from start to finish. We've raised over £600 from the climb so far! We're now planning our next walk on Dartmoor in Devon. You can find more details, and sign up here. What an amazing day! 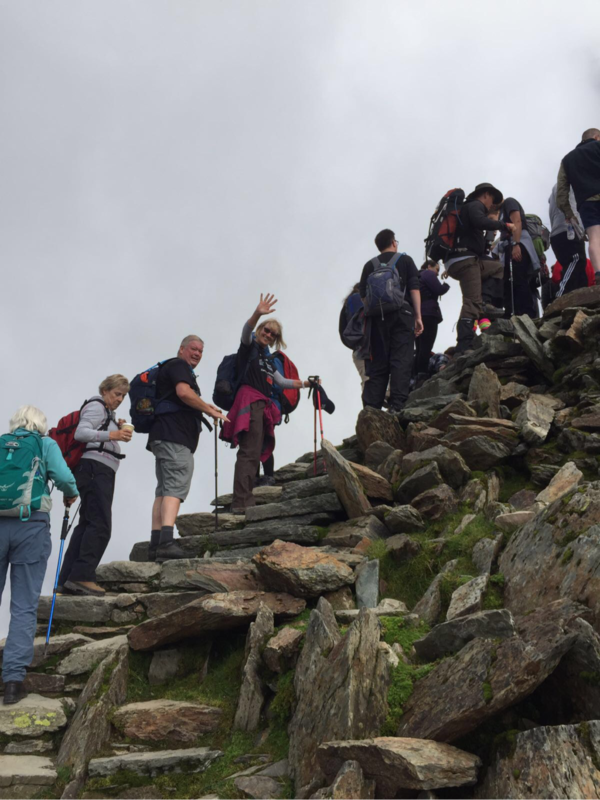 We successfully navigated Snowdon with nearly 40 people from across the UK and Ireland taking part. We think we will now pass the £20,000 mark! Special thanks to all who donated and climbed, especially those from the NCTJ who joined us for the climb and those who made the trip all the way from Ireland. You can see more about the climb and our photos here and on our Facebook page. Thanks for your support throughout 2015. In the last year, with your help, we have raised £14,779 plus gift aid for the bursary and the NCTJ have awarded the first bursary - details of which you can find here. We have much more planned for 2016 (details here). Having surpassed our initial target of £10,000 we hope to break the £20,000 mark this year. This means that we will be able to support four students to achieve their ambitions within journalism. More to follow... We hope you have a Happy New Year. We made it up the mountain! Please click here for photos and more information! Thank you all for your enormous generosity. 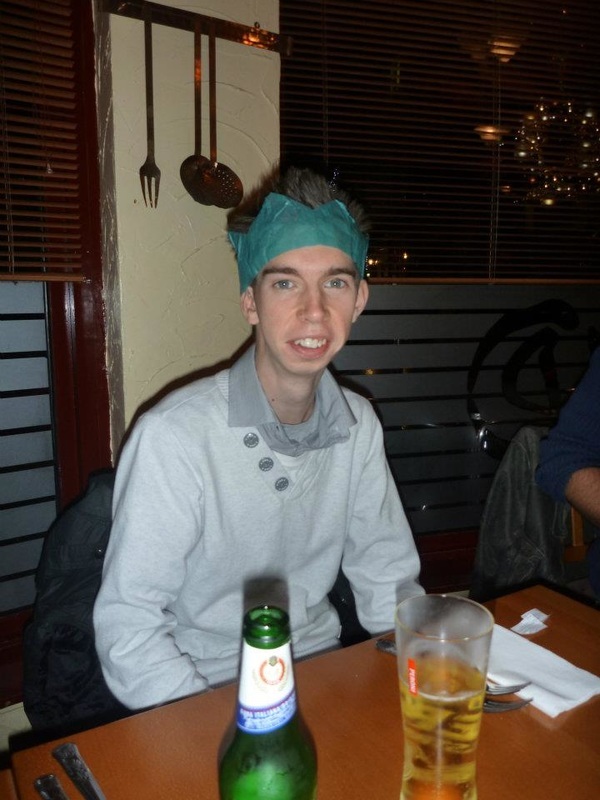 We have now raised over £6,000 (excluding gift aid) for Thomas' bursary. This covers the money for the first year and into the second year of the bursary. We hope that this amount will continue to grow and grow with an aim to ensure £5,000 per year is raised to support students in their aims to become journalists. Plans for the mountain climb continue - we will keep you updated here with the latest news. The response to the website has been amazing. Thank you all so much for your donations! We have had over 1,000 different people visit the website over the past month. Please spread the word. As part of the fundraising events for Thomas' bursary we are organising a guided walk / climb of Ireland's highest mountain. The event will take place on 11th and 12th September at a cost of £250 to include flights, accommodation and the climb. The amount also includes a £50 donation to Thomas' bursary. If you're interested (all abilities will be able to complete the walk!) please let us know so we can have an idea of numbers. You can email us here or on the contact page. More info to follow. Thank you all so much for your interest in Thomas' website and for the donations. We've had an amazing response and the fundraising really has kicked off to an amazing start. Some of the donations have been anonymous - to those of you we have not been able to contact directly - thank you! Starting promotion of the page! Up until now we have kept things fairly contained just to give the website a trail run but today we have started to publicise. If you're reading this, then thank you and please share. Social media is a great way to spread the message and we will be using Facebook and Twitter initially to spread information about Thomas' bursary. You can contact us using the form on the website too. Thanks. Thanks for taking the time to visit Thomas' website. We're still developing things at the moment and hope that you have found the information that you wanted. Please do get in contact if you have any questions / comments or suggestions.